Personal Caregiver: Does It Truly Benefit an Aging Person at Home? ← Promoting Senior Independence Through Home Care: What Are the Benefits? 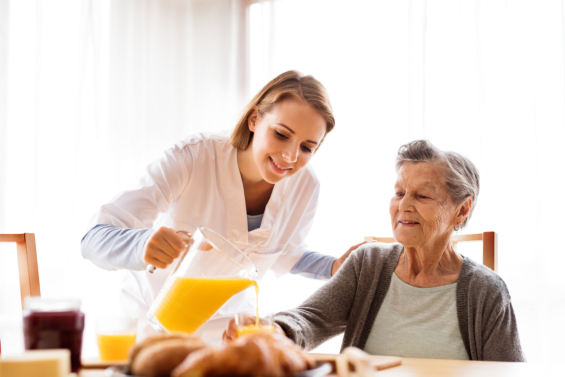 If you’re carefully deciding whether your aged family member needs a personal caregiver to assist them at home, you must include considering looking for the best Home Care Service Provider in Hawaii. Whether or not your senior loved one is staying with you or not, the advancing of their years will continue to be on top of your concerns. It’s understandably valid as the aging season can be challenging for any person. There will always come a time in your loved one’s life that they will be in need of someone who will dedicatedly take care of them. As a Healthcare Service Provider in Hawaii, let us help you weigh in on making this decision by imparting these benefits of getting a personal caregiver. Seniors can be assisted with their daily living activities. These include bathing, dressing, feeding, and toileting, among others. The more advanced the years of a person get, the more declining their strength will become. This may be a heartbreaking reality, but with assistance from a personal caregiver, your aging loved one can still manage to enjoy their later years. Seniors will need help in preparing their meals. Some age-related illnesses can make it difficult for your aging family member to cook their own food, much less manage to make it to the kitchen. The personal caregiver can do this for them, including the assistance of purchasing healthy food ingredients. Seniors can be easily at risk of falls, especially when no one’s assisting them. Due to the declining bone density, a slight trip can be hazardous to your loved one’s health. The personal caregiver can assist them in their movements or walk steadily beside or behind them ready to respond to any uneventful happening. Seniors will also need sharpening of their cognitive and social skills. Having a personal caregiver provides them with an opportunity to harness their minds through quality conversations or brain-boosting games, while at the same time giving them a friend to enjoy having companionship with. Seniors can worry about their safety when they’re alone. While not all seniors do, you or your loved one might be worried about their aloneness. Getting a personal caregiver gives you that peace of mind knowing they’re being cared for. These are just among the many benefits that your senior loved one can enjoy when they have a dedicated person assisting them at home. Whether it’s a family member or a skilled provider of home care services, you can trust that having someone to accompany your aging loved one all the time is good and right for them. At Helping Hands Healthcare, we help you meet the care needs you look for your family members, not only when they’re elderly but even when they’re having a disability or illness. We have experienced staff ready to care for them on a personalized level. When you need this level of service for your beloved, do keep in touch with us at once. This entry was posted in Personal Caregiver and tagged Caregiving, Healthcare Service, Senior Care, Senior Independence. Bookmark the permalink.